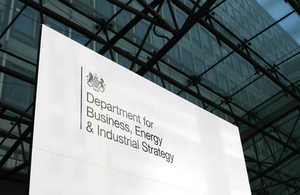 Yesterday’s developments from Ofgem and the Department for Business, Energy and Industrial Strategy on a future vision for the UK power system have garnered a significant response from the industry, the majority of which has been overwhelmingly positive. “This is a fantastic move by government and an exciting moment for the UK’s renewables industry. To deliver the low carbon economy of the future we have to embrace a new, smart energy system and battery technology will be at the heart of that. “The global market is quickly moving towards a decentralised model, relying less on large fossil generation and more on flexible and increasingly cheap renewable sources. More energy storage empowers this and will lead to a lower cost, lower carbon energy system that will benefit households and businesses across the country. “This signals a positive move by BEIS with regard to the commitment to the Industrial Strategy. A significant change in the way in which electricity is generated, used and distributed, from residential through to large scale commercial is inevitable in the coming decade. Battery storage will have a key role in this evolution of the energy sector and these announcements reinforce the message that the UK Government is keen to be at the forefront, which can only be a good thing. “These changes for consumers in generation and demand management are a positive next step for the electricity sector. It makes sense to encourage behavioural changes in this way. Apart from potentially saving consumers money, it also allows us to make better use of our resources. The role of batteries in electricity storage is still emerging and it is important that research and development explore whether the materials used in batteries, from extraction to disposal, are sustainable and therefore the best solution for electricity storage. It may be that other storage mediums such as gas, compressed air energy storage and water provide a more suitable and sustainable long term solution. “This report is vital, setting out Government’s vision of a flexible power system that gives customers greater control over their energy and promotes cost-effective decarbonisation. “The emphasis on removing barriers to market for demand response providers is particularly important to achieve these aims. Government and industry must now work together to ensure these actions are implemented effectively. "This represents a major step towards supporting decentralising power generation in the UK, with consumers winning on two fronts, both through savings on their energy bills and also selling power to the National Grid. Reducing pressure on the National Grid infrastructure – which simply doesn't have the capacity to handle the 21st century usage and data levels – is a vital component of ensuring the network remains agile enough to meet future demand. “Flexibility is the word of the day as our energy system transforms. Reliable storage technology will allow renewable energy to prosper, and means we can reimagine how we use the grid. Storage means people and businesses can manage their energy use better – and, with the right incentives, more cheaply.